Our entry is in the NPTC Group of Colleges Eduction Award category. We are supporting activities at Glan-y-Môr and Coleg Sir Gâr that take young people out of the classroom, aiming to inspire those youngsters with a spark of interest in engineering to pursue this further. 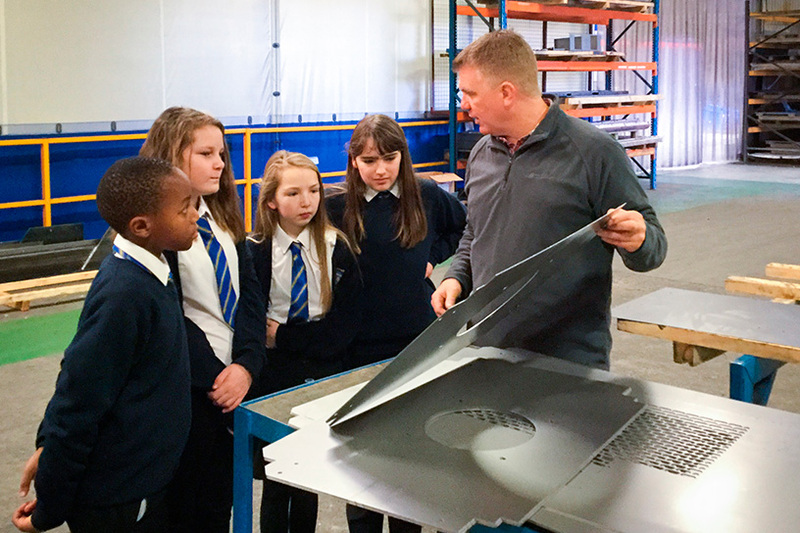 We’re a community-driven family business with passion for engineering at our core and we’ve always believed that learning outside the classroom and real-life experiences on the shop floor are key to inspiring the next generation of engineers. To help secure a future workforce we’ve worked with Coleg Sir Gâr for many years, both in terms of apprenticeships and work experience / student visits to our factory. This work continues but has now been underpinned by a new partnership with Glan-y-Môr School. The school sits just a stone’s throw away from our factory, so when they approached us about their STEM programme, we saw just the opportunity we’d been hoping for! This past year, as well as maintaining our commitment to Coleg Sir Gâr, we’ve been helping give young people at our local school the skills and financial backing to become award-winning STEM engineers. We’re so pleased to stand alongside other leading businesses on the shortlist for this prestigious award.